Omni-Med (Florham Park) - Book Appointment Online! 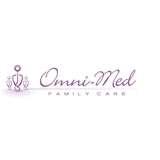 From common ailments and lab tests to chronic illnesses, Omni-Med Family Care is here for all your healthcare needs. Omni-Med has been servicing the medical needs of Florham Park and the surrounding communities since 1985. Family Medical Care, Urgent Care and Occupational Services are provided 7 days a week by a caring, attentive staff. Injuries or illnesses, preventative and family medicine, routine services, cosmetic services and all occupational related services are treated within our large, modern facility. At Omni-Med our goal is to combine the latest medical technologies with the time honored effectiveness of a caring and personal doctor-patient relationship and to combine this care with our patients’ busy lifestyles. Omni-Med has joined ZocDoc as an on going effort to be a vital resource to the area. We hope this will further enhance interaction with our patients.